More than just rock climbing! 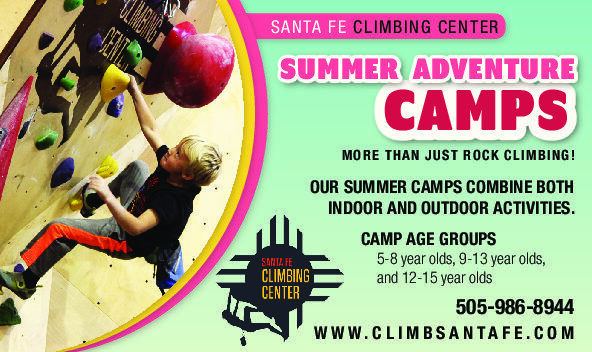 We will introduce campers to climbing in a fun and exciting way. Games that incorporate rock climbing will help develop the campers’ leadership, teamwork, and decision-making skills. Groups will be taken outdoors to multiple locations to introduce rock climbing, hiking, and bouldering activities in a natural environment. Campers may advance to learn the following skills: Belaying, rappelling, lead climbing, rope ascending, rescue skills, and advanced knot tying. In addition to indoor and outdoor rock climbing, the camp will impart respect for our natural environment, wilderness survival skills, and basic knowledge of first aid. Before & After-care is available for an additional cost and must be pre-paid. Before-care begins at 7:30 am – $60/week or $15/day. After-care is from 4 to 5 pm – $60/week or $15/day.